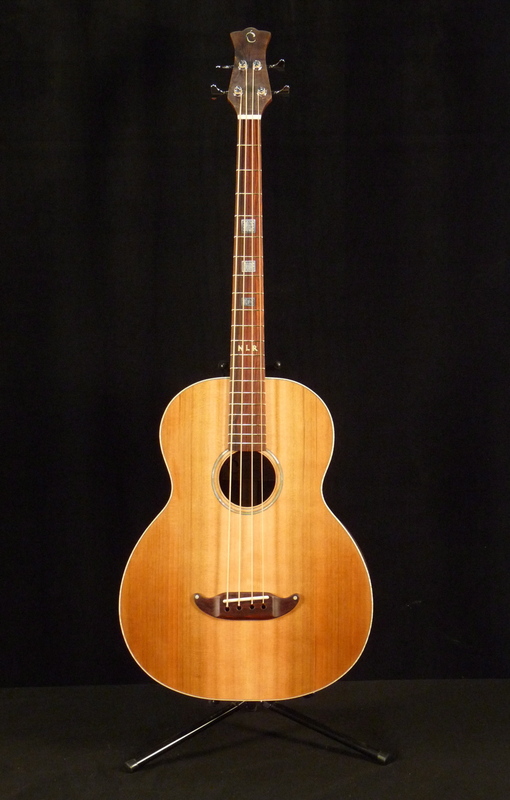 Acoustic Bass Guitar modeled after Mark Stanley’s designs, nicknamed “The Beast”, for its size and big, powerful sound. 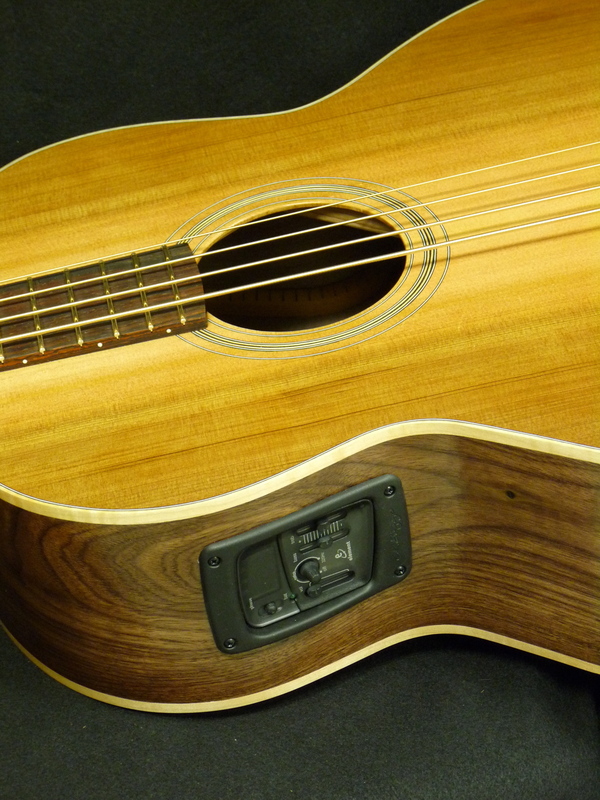 It is an acoustic bass guitar able to be played acoustically in a group and still be heard. 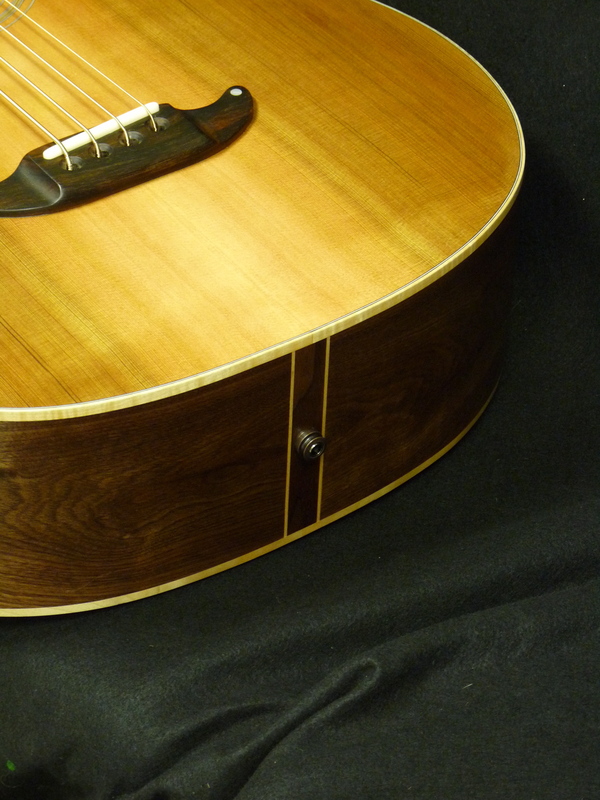 It comes with western red cedar top, walnut back and sides, walnut and maple laminated neck, maple bindings, cocobolo fingerboard and bridge, bone nut and saddle, gold MOP inlay, Gotoh tuners, gold Evo frets, Baggs Element Active System onboard pickup and preamp. Watch some short videos of The Beast. 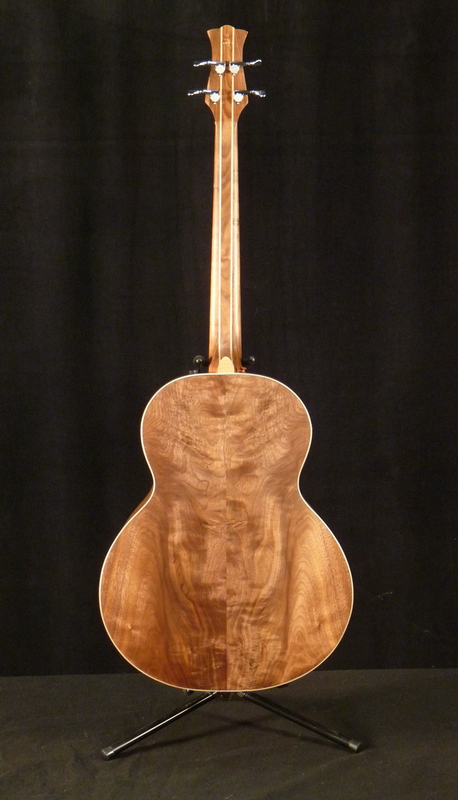 “I got a call today that it arrived so I picked it up after work. I could see the huge box at the back of the store from the sidewalk outside! The box appeared fine and there was no evidence of anything having fallen on it or piercing it. I got it home and unpacked and unpacked and unpacked. Great job ,very thorough. 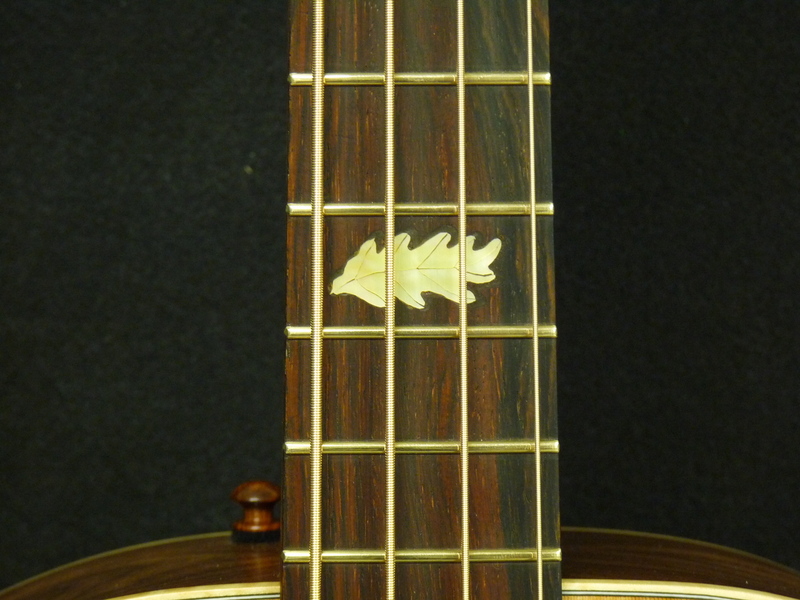 The bass looks fabulous and the stripes thru the neck look great. 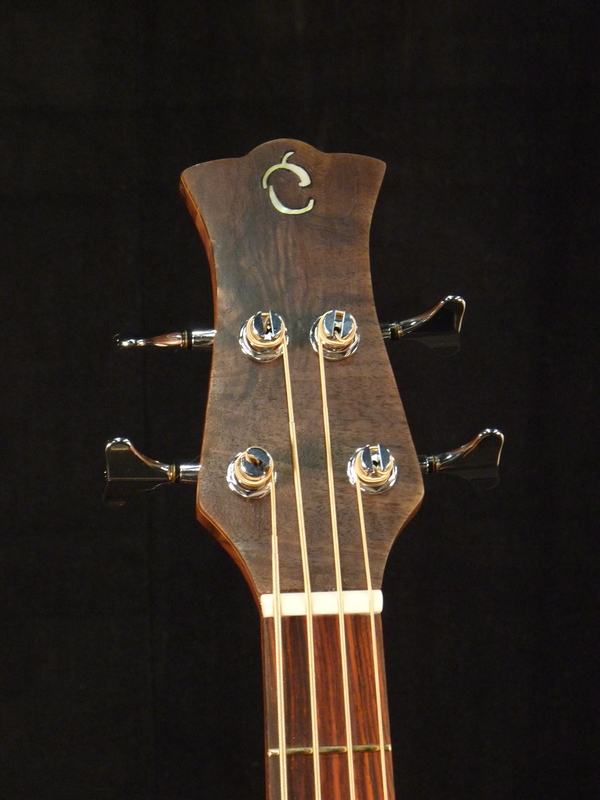 What was the material you used to face the headstock? 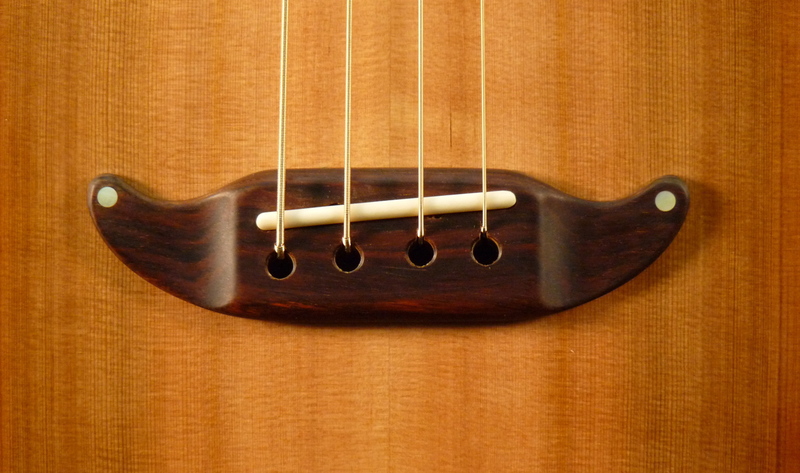 The headstock veneer is walnut from the same figured board that yielded the back.